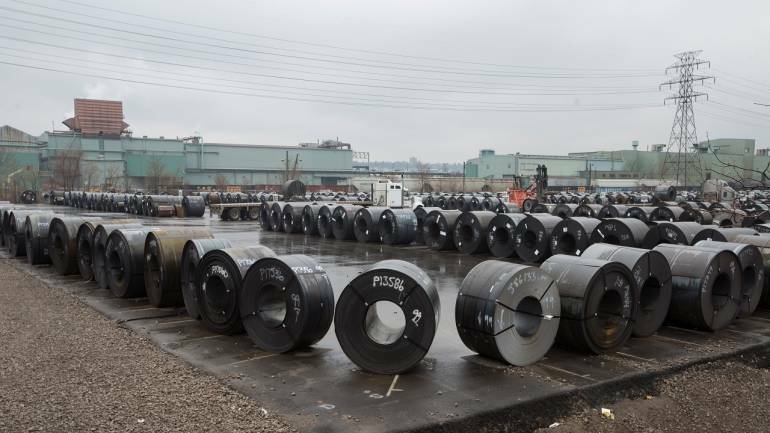 The global steel body in its report, titled 'Short Range Outlook April 2019', said it forecasts that global steel demand may reach 1,735 million tonne (MT) in 2019, a rise of 1.3 per cent over 2018. Steel demand in India is expected to grow above 7 per cent in the current as well as next year, according to the World Steel Association. In 2020, the demand is projected to grow 1 per cent to 1,752 MT, it said. "In developed economies, steel demand grew by 1.8 per cent in 2018 following a resilient 3.1 per cent growth in 2017. We expect demand to further decelerate to 0.3 per cent in 2019 and 0.7 per cent in 2020, reflecting a deteriorating trade environment," the body said. Steel demand in emerging economies, excluding China, is expected to grow 2.9 per cent and 4.6 per cent in 2019 and 2020, respectively, it said. For India, it said, "The wide range of continuing infrastructure projects is likely to support growth in steel demand above 7 per cent in both 2019 and 2020." In developing economies in Asia, excluding China, the demand is expected to grow by 6.5 per cent and 6.4 per cent in 2019 and 2020, respectively, making it the fastest-growing region in the global steel industry, it added. The global association represents steel producers, including nine of the world's 10 largest firms, national and regional steel industry associations, and steel research institutes. Its members represent around 85 per cent of global steel production.